Yacon juice and tea are beverages developed from Smallanthus sonchifolius or more popularly known as yacon. According to the Food and Nutrition Institute of the Department of Science and Technology (FNRI-DOST), Yacon is associated with gut health. It is rich in fructooligosaccharides (FOS), a prebiotic stimulating the growth of good bacteria which enhances mineral absorption. FOS is a non-digestible form of carbohydrates that lowers blood sugar levels and improves the health of the intestines. Its benefits are not fully maximized because yacon tubers are perishable and its nutritional content and FOS significantly decreases during post harvest storage. 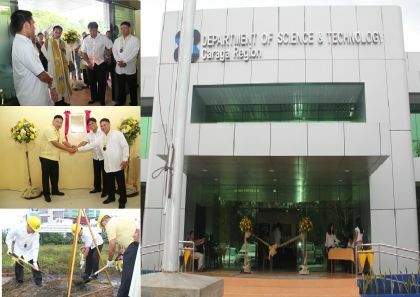 To maximize the benefits form yacon, the FNRI-DOST came up with a technology on development of beverage products from yacon in the form of juice and tea. This FNRI technology has undergone laboratory studies and is in the process of undergoing its pilot-scale study.